Simple Food Preparation: On-the-go pouches No need for dishes or cookware. Convenient & great tasting. Save time with easy preparation. There is no cooking or other preparation necessary. Just add water and wait 10 minutes…and eat! If a heat source is not available, room temperature or cold water can be used. Because no cooking is needed, these foods require much less water and fuel than most fresh, frozen or dehydrated foods. With Mountain House® ongoing sensory and nutrition testing of actual Mountain House® products, in 2014 the shelf life was increased by an impressive 20%, from 10 years to 12 years! That’s right — Mountain House® shelf life is at least 12 years from the date of manufacture as long as the pouch is stored unopened in a cool area. After 10 years a change in flavor and appearance may be noticed. We have personally tasted pouches that were 30 years old and they still taste great. For best results, avoid prolonged storage at temperatures above 75° F (24° C). 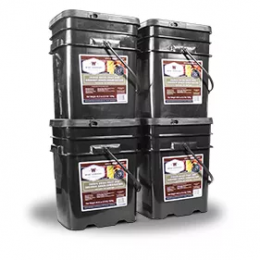 Mountain House® Pouches freeze dried foods taste superior to competitive products because they actually start with fresh or frozen foods, then cook and prepare them, and finally freeze-dry them. All the goodness, flavour and taste are locked in as if you had hand-made them from scratch. In comparison, other (food companies) do not freeze-dry or cook their own foods. 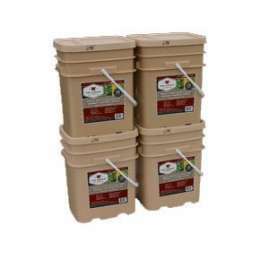 They blend the dry components of other companies and package them as freeze dried foods. Mountain House® #10 Cans taste as close to fresh, frozen, or better, as you can get. 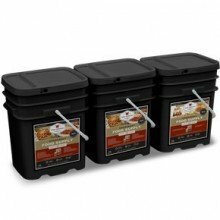 Backpackers, for example, consistently rate us #1 year after year as the best tasting foods and easiest to prepare. Mountain House Chili Mac with Beef Sauce Pro-Pak is packed with real beef, and tender beans in a spicy chill tomato sauce. So, what makes the Pro-Pak’s packaging different? 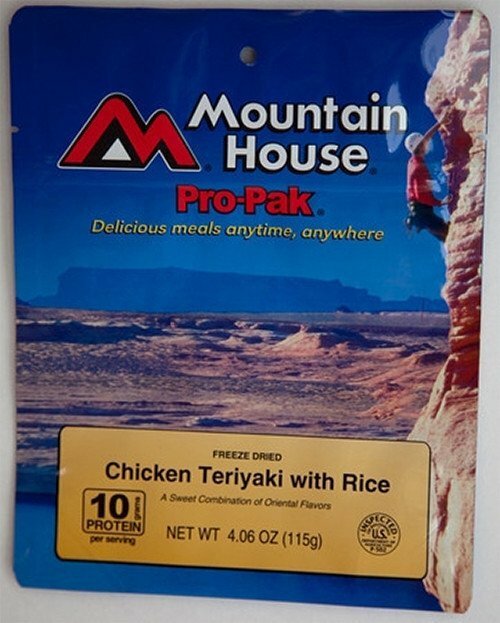 Try our Asian inspired Mountain House Chicken Pro-Pak. Full of diced chicken, white rice, bamboo shoots, mushrooms, green peas and red and green bell peppers in a delicious Oriental sauce. So, what makes the Pro-Pak packaging different? 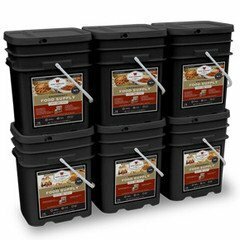 For compact storage, the Mountain House Chicken Pro-Pak food is VACUUM SEALED TIGHT. They are made to expand when hiking or camping in higher elevations and takes up less space in your backpack or storage space. Plus it features a convenient stand up zipper foul pouch for easy reconstruction and eating.